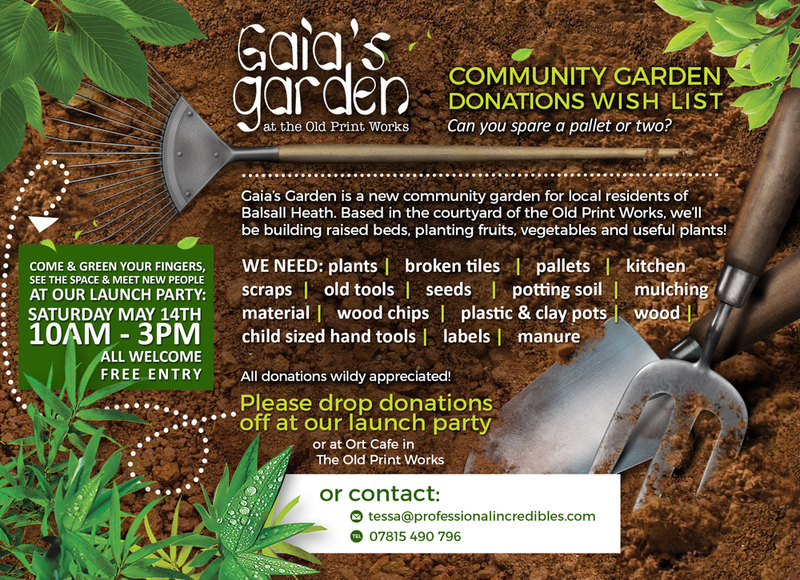 Join us on Saturday 14th May at the launch of Gaia’s Garden! 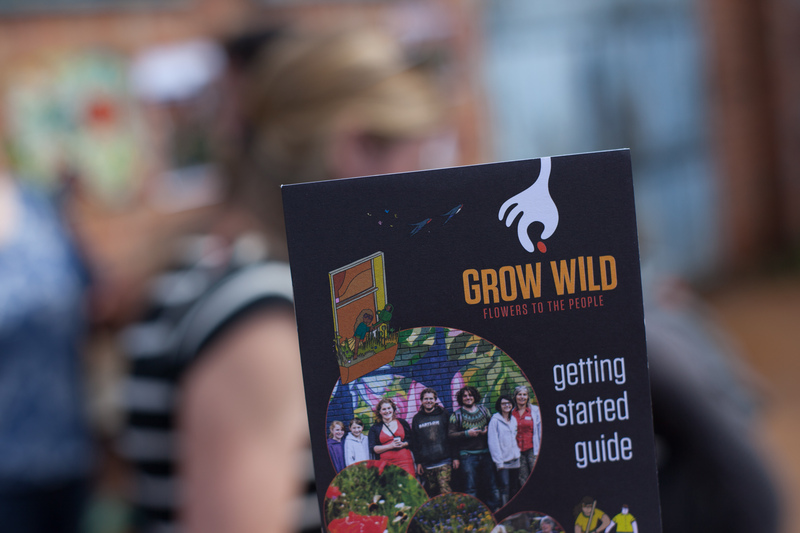 Come down to the Old Print Works between 10am-3pm to check out the new space, green your fingers and meet new people! For those of you who don’t know, Gaia’s Garden is a community garden that will be used to build raised beds out of up-cycled pallets, and grow fruits, vegetables and useful plants, for everyone to enjoy. We will also be planting native wild flowers throughout the area to brighten up our back yards, balconies and public spaces, with the help of Kew Gardens’ Grow Wild scheme. Over the last few weeks, we’ve been busy planning and designing, clearing out the space, recycling waste, and salvaging existing plants to transform the factory courtyard into a soon-to-be thriving garden in the heart of Balsall Heath. So far, we’ve worked with all kinds of amazing local people and groups to make the project happen, including sustainability activists and community artists, and we want you to get involved, too! We need volunteers who aren’t afraid of getting their hands dirty (literally!) to help out, so if this sounds like you, roll up your sleeves, dust off your wellies, and dig out your garden tools from the shed! You don’t have to be a pro to get involved, as we’ll be sharing top gardening tips and leading all kinds of workshops as the project develops. We’re also after donations of plants, broken tiles, pallets, kitchen scraps, old tools, seeds, potting soil, mulching material, wood chip, plastic & clay pots, wood, child sized hand tools, labels and manure, to help Gaia’s Garden grow. If you can spare any of these materials, please drop them off at the Launch Day or Ort Café in the Old Print Works. All donations are hugely appreciated! Gaia’s Garden will be open to the public every Saturday from 10am-3pm right through to October, so if you can’t make it to the Launch Day on the 14th, be sure to come along to enjoy the space and get involved at a later date! For more information and to volunteer at Gaia’s Garden, please contact Tessa on tessa@professionalincredibles.com or 07815 490 796, or message our Facebook page here. And don’t forget to like our Facebook event page here for all of the latest information!